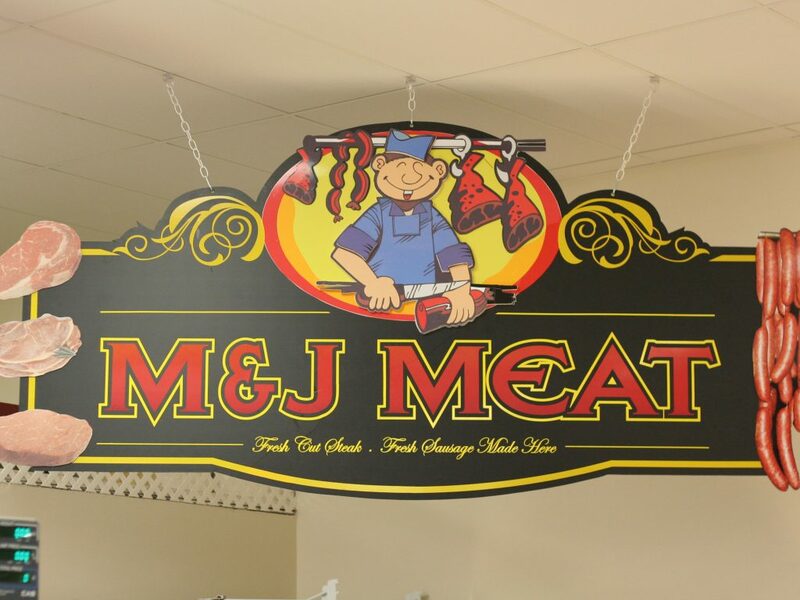 Stock up on your fresh meats at M & J Meats. Our meats have no preservatives so you can be assured of healthy eating. We have speciality items that you just can’t get anywhere else. All our steaks are cut at the market and all the sausages are hand-made at the market. We usually have lamb in stock from March 15 thru Easter and beyond until we run out. Come in or call ahead for availability or to order your lamb.